It’s easy to be cynical when you’re vegan and the rest of the world isn’t. We observe rather sudden, enthusiastic pushes towards milquetoast half-measures that ostensibly save the planet. We see people making what amounts to a non-sacrifice in the name of reversing climate change. The efforts, to us, can appear akin to trying to stop an approaching avalanche with a blowtorch, or saving a town from a flood with a drinking cup. Of course I’m talking about straws. Within the last few weeks, out of nowhere, straws became the scourge of the Earth, the dining-out equivalent of driving a Hummer. Stats about the millions of straws we use, mostly based on some kid’s estimate, spread like wildfire. 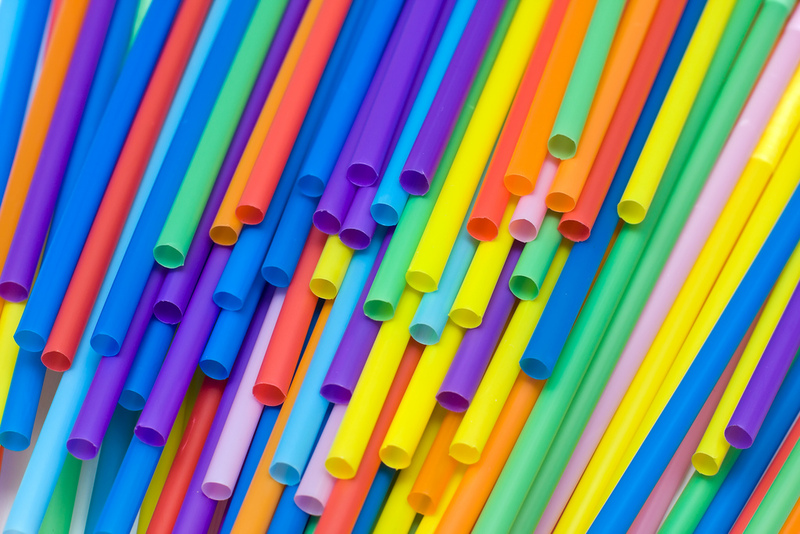 There has even been backlash in the disability community, arguing that banning straws would place an undue burden on those who need them. Given the ecological hysteria, one may be forgiven for believing the Great Pacific Garbage Patch — which many erroneously think is like a giant floating island of trash — is comprised of straws. The reality, as many have pointed out, is that more than half the heap consists of fishing gear. It would seem, then, that reducing the number of fishing nets cast into the ocean by reducing the demand for fish — a.k.a. not eating them — would be a more effective solution. I am hardly the first to point this out. But I may be the first to argue that we shouldn’t get so upset about it. For starters, we can all agree that straws are bad for the environment. The fewer straws, the better. And while one can make drastic changes by going vegan, we can also agree that incremental changes are better than nothing. It’s unrealistic to expect people to stop eating seafood upon learning that fishing gear is polluting our oceans. The more conscientious folks may opt to reduce their consumption of fish while the concept of fishing nets in the Great Pacific Garbage Patch is fresh in their minds, but most people won’t. This is for the same reason that knowing cows, pigs, and chickens are raised and slaughtered in treacherous conditions hasn’t heralded in a vegan world. These small, incremental changes — not just the banning of straws, but the consciousness-raising about environmental destruction — are probably all we have. Fantasies of a human race coming to realize what we do to animals and the planet and going vegan overnight are just that — fantasies. And engaging in whataboutism is, in effect, telling people that what they’re doing isn’t making a difference; it’s easy to append so why bother? to such a statement. We can’t let perfect be the enemy of good — and veganism isn’t perfect, either. We can be annoyed that people don’t see how easy veganism can be, we can be frustrated that people go with the flow instead of thinking critically about how they can be effective, and we can be angry that minor changes may not be enough in the face of climate change. But it’s all we’ve got. Let’s embrace it. Next Information Wars and Veganism?